"The best aspect of the General Duties Medical Officer lifestyle is the variety"
Treating casualties on the front line. Caring for soldiers in barracks. Providing medical cover at Army sports events – there’s no doubt that life as an Army Doctor is varied. You’re likely to spend the first few years as a Regimental Medical Officer (RMO) with a combat unit or as a General Duties Medical Officer (GDMO) with a medical regiment. You’ll get outstanding training to prepare you for the injuries and illnesses you'll encounter in military life. There’ll be the chance to get new qualifications, have valuable experiences, and take part in sports and adventurous training. It’s like no civilian role out there. Provide front line medical support at every level of care. Work in challenging and hostile environments. Build and maintain your clinical skills in NHS hospitals. Enjoy opportunities for postgraduate training. Enjoy a wide range of sports and an excellent social life. Having successfully completed the Army Officer Selection process and Army Doctor interview; you will be awarded a place on the Commissioning Course Short at the Royal Military Academy Sandhurst. You are taught basic military, survival and weapon handling skills alongside other professionally-qualified officers. The training is designed to prepare you for military life. On completion of the course you will awarded a commission into the Army Medical Services. You will then attend the Army Medical Services Entry Officers' Course (EOC), which provides you with the specific knowledge required to begin your career as an Army Doctor. STUDENT - Following graduation, you will be required to complete foundation years 1 and 2 training at one of the Defence Medical Group Units (Frimley Park, Northallerton, Portsmouth, Plymouth or the Queen Elizabeth Hospital Birmingham). QUALIFIED - Degree in Medicine. Full registration with the UK General Medical Council (GMC), you could also be at the point of completing your medical training. Age criteria differ (up to a maximum of 55 years) depending on qualifications and experience. Please give us a call to find out which specialties we are currently recruiting and the specific criteria. STUDENT - Studying towards a Degree in Medicine on a course that will result in full registration with the UK General Medical Council (GMC). 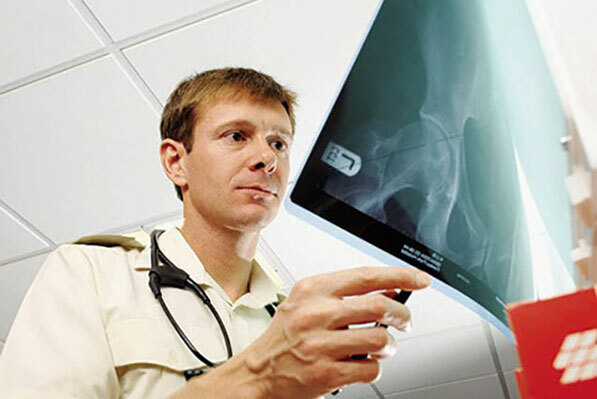 The Army offers financial support to those who have secured a place, or have already commenced a degree in medicine. You will receive an annual payment of £10,000 for up to three years and a lump sum of £45,000 on completion of your initial training. An Army doctor who undertakes specialist training in general practice or a hospital specialty must fulfil Royal College requirements to be awarded the Certificate of Completion of Specialist Training. Medical qualifications dependent on your specialism (GP, Emergency Medicine, Anaesthetics and Resuscitation, General Surgery, General Medicine, Psychiatry, Pathology, Radiology, Rheumatology and Rehabilitation, Occupational Medicine or Public Health). Once you have completed your military training, you will be on a minimum salary of £58,113. This will go up once you're fully qualified. You'll get paid a day rate according to your rank (minimum £115); plus, if you complete all your annual training days, you're entitled to a tax free lump sum. QUALIFICATIONS: Degree in Medicine. Full registration with the UK General Medical Council (GMC). On successful entry into the Army Medical Services Reserve you will be eligible to apply for funding for Professional Qualifications to help you in your role with the Army Medical Services. If you've got your qualifications, then apply online. Your application will be passed to our specialist team, who will help guide you through the process towards joining in this role. You'll need to pass a specialist skills interview to check that your skills are in line with our needs.